Claude Victor Perrin, the Duke of Belluno, makes a brief appearance in Napoleon in America as the man who delivers the welcome news to the Duke of Angoulême that French forces have resisted Colonel Charles Fabvier’s attempt to subvert them. 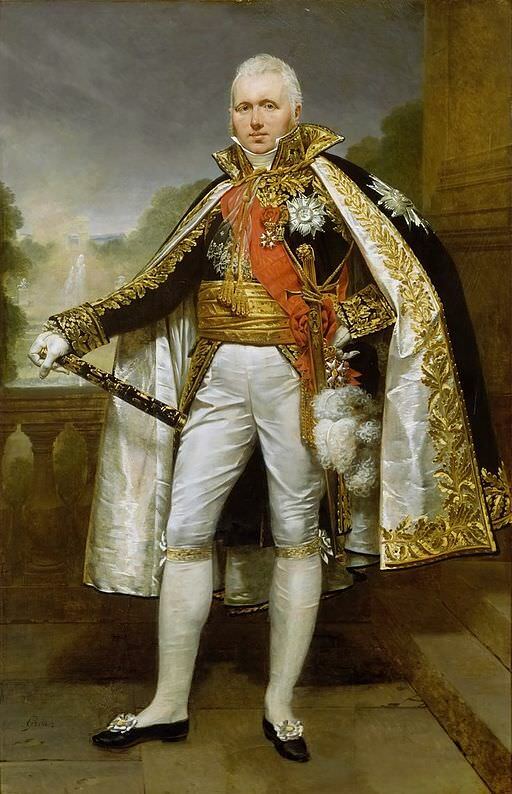 Victor was Louis XVIII’s Minister of War. He had been one of Napoleon’s marshals, and was thus one of the few senior Napoleonic officers who continued to serve in a high position under the Bourbons. In 1791, after 10 years of service, Victor applied for his discharge. In May of that year he married Jeanne Josephine Muguet. They went on to have four children: Victorine (born in 1792), Charles (1795), Napoléon Victor François (1796), and Napoléon Victor Eugène (1799). The newlyweds settled in Valence, where Victor became a grocer. Civilian life didn’t suit him. Seven months after leaving the army, Victor joined a battalion of volunteers. He soon became battalion chief. In 1793, Victor took part in the siege of Toulon with Napoleon Bonaparte. For his bravery on that occasion, Victor was promoted to brigadier general. During the Italian campaign of 1796-97, he so distinguished himself that he became general of division. General Victor played an important role in Napoleon’s triumph at the Battle of Marengo in June 1800. However, since Victor had made no secret of his disapproval of Napoleon’s 1799 coup d’état, the First Consul decided it was best to keep the general busy outside of France. Claude Victor Perrin became commander-in-chief of the Army of Holland. In 1802, he was briefly the governor of Louisiana, before Napoleon sold the territory to the United States. That year Victor divorced Jeanne. In June 1803 he married Julie Vosch van Avessat. They had one daughter, Stephanie-Josephine, born in 1805. Victor was then France’s ambassador to the Danish court. General Victor returned to military duty in 1806, thanks to Marshal Lannes, who wanted him as chief of staff. Victor’s conduct at the Battles of Jena and Pultusk returned him to Napoleon’s favour. In command of the First Corps of the Grande Armée at the Battle of Friedland in 1807, Victor’s performance earned him a marshal’s baton and an appointment as the military governor of Berlin. In 1808, he was created Duke of Belluno. This was said to be Napoleon’s idea of a joke. From 1808 to 1811, Marshal Victor saw continuous service in the Peninsular War. In 1812, he commanded a corps in the invasion of Russia. He protected the retreating Grande Armée as it crossed the Berezina River. In 1813 he fought at the battles of Dresden and Leipzig. In 1814 he was entrusted with defence of the Vosges. In February 1814, Marshal Victor arrived at the Battle of Montereau later than Napoleon had ordered. The Emperor was furious. He deprived Victor of the command of his corps and told him to leave the army. The Duke of Belluno, with deep mortification received the Emperor’s permission to quit the army. He repaired to Surville, and with powerful emotion appealed against this decision. Napoleon gave free vent to his indignation and overwhelmed the unfortunate Marshal with expressions of his displeasure. He reproached him for reluctance in the discharge of his duties, for withdrawing from the Imperial headquarters, and for even manifesting a certain degree of opposition, which was calculated to produce mischievous effects in a camp. The conduct of the Duchess of Belluno was also the subject of complaint: she was Lady of the Palace, and yet had withdrawn herself from the Empress, who indeed seemed to be quite forsaken by the new court. 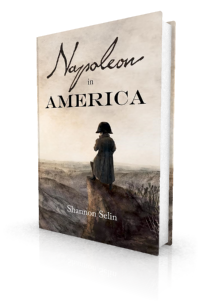 The Duke in vain attempted to defend himself; Napoleon afforded him no opportunity of reply. At length, however, he gained a hearing. He made a protestation of his fidelity, and reminded Napoleon that he was one of his old comrades, and could not quit the army without dishonour. The recollections of Italy were not invoked in vain. The conversation took a milder turn. Napoleon now merely suggested to the Duke that he stood in need of a little respite from the exertions of a military life; that his ill health and numerous wounds now probably rendered him unable to encounter the fatigues of the advanced guard and the privations of the bivouac, and too frequently induced his quartering officers to halt wherever a bed could be procured. But all Napoleon’s endeavours to prevail on the Marshal to retire were ineffectual. He insisted on remaining with the army, and he appeared to feel the Emperor’s reproaches, the more severely in proportion as they became more gentle. He attempted to justify his tardy advance on the preceding day; but tears interrupted his utterance: if he had committed a military fault, he had dearly paid for it by the fatal wound which his unfortunate son-in-law had received. Marshal Victor didn’t have long to redeem himself. On March 7, 1814, he was severely wounded at the Battle of Craonne and forced to go home. After Napoleon’s abdication in April 1814, Claude Victor Perrin swore allegiance to the Bourbons. He became commander of the Second Military Division at Mézières. When Napoleon escaped from exile on Elba, the Duke of Belluno did his utmost to prevent the defection of his troops to the Emperor. Failing at that, he retreated to Ghent with Louis XVIII. During the Second Restoration, Claude Victor Perrin was created a peer of France and named one of four major-generals of the Royal Guard. He earned the hatred of many of his former comrades for the severity he displayed when he was part of the military commission “charged with examining the conduct of officers of all grades who served under the usurpation.” (5) The commission’s decisions resulted in the removal of most Napoleonic officers from active service (see my post about demi-soldes). In 1821, Prime Minister Joseph de Villèle invited Victor to join the cabinet as Minister of War. On the eve of the 1823 French invasion of Spain, the French police seized some baggage addressed to an aide-de-camp of General Guilleminot, who had military command of the Army of the Pyrenees, under the King’s nephew, the Duke of Angoulême. It was found to be full of Bonapartist ensigns, buttons, tricolors, cockades and scarfs: all the paraphernalia of a military mutiny. Victor arrived in Bayonne on March 20 with a royal decree that appointed him chief of staff of the Army of the Pyrenees. The Duke of Angoulême, however, had no desire to share the glory of his expedition with one of Napoleon’s marshals. He regarded the arrival of the war minister as a slur on his own competence. Expressing full confidence in Guilleminot, Angoulême reinstated the latter in his post, leaving Victor to return to Paris. This was not Angoulême’s only gripe with the Duke of Belluno. To remedy the situation, Angoulême signed contracts with a charming war profiteer, Gabriel-Julien Ouvrard, who had conveniently appeared in Bayonne. The contracts gave Ouvrard a virtual monopoly on the army’s food supplies and their transport on exceedingly generous terms. When these terms became known in Paris, everyone could see there had been a huge waste of public funds. The Duke of Belluno was dismissed as war minister and given the post of ambassador to Vienna. Unfortunately, Austrian Emperor Francis I refused to recognize his title (Belluno was an Austrian possession). Victor went back to being a major-general of the royal guard. When the July Revolution of 1830 overthrew the Bourbons, Victor retired to private life. In December 1831, he was rumoured to be involved in a plot to restore King Charles X to the throne. Claude Victor Perrin, Duke of Belluno, died on March 1, 1841, at the age of 76. He is buried in Père Lachaise cemetery in Paris. His name is inscribed on the Arc de Triomphe. R. P. Dunn-Pattison, Napoleon’s Marshals (Boston, 1909), p. 296. Biographie des ministres Français: depuis juillet 1789 jusqu’à ce jour, (Brussels, 1826), p. 304. Charles de Lacretelle, Histoire du Consulat et de l’Empire, Vol. III (Paris, 1846), p. 325. Agathon-Jean-François Fain, The Manuscript of 1814: A history of events which led to the abdication of Napoleon (London, 1823), pp. 116-119. Eyre Evans Crowe, History of the Reigns of Louis XVIII and Charles X, Vol. II (London, 1854), pp. 182-183. André Nicolle, “Ouvrard and the French Expedition in Spain in 1823,” The Journal of Modern History, Vol. 17, No. 3 (September 1945), p. 196. Not specially dowered by fortune with talents for war . . . the Duke of Belluno is a striking instance of how large a factor is character in the struggle of life which ends in the survival of the fittest.